We’re roofing experts! Chicago area weather is notoriously hard on roofs. We endure pouring rain, high winds, hail, snow, heat, ice, humidity and sun. That means that your roof is your first line of defense when protecting your home (and family)! We can tell you about many types of shingles (including asphalt & metal), many types of roofs, and many types of installation. What’s more, don’t forget that we are certified installers of GAF-ELK™ shingles and roofing material, a company that makes a quality product that we highly recommend. Also, did you know that Remodeling Magazine estimates that in the Chicago area, installing a new asphalt roof increases the average value of a home by over $11,000? WOW, talk about added value! 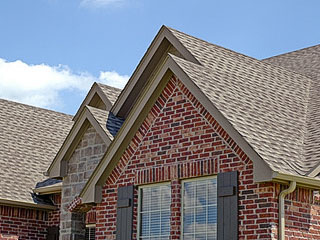 Ready to discuss roofing with us? Call us today! We’re siding experts! We’ve been installing siding for over 15 years! 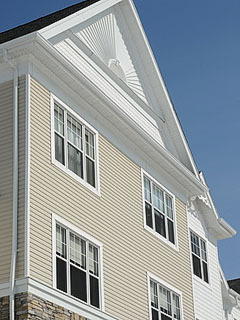 We can tell you about many types of siding: vinyl, composite & fiber cement. Also, did you know that new siding dramatically increase your home’s curb appeal? Nothing can make a bigger improvement in your home’s aesthetics than new siding! You can choose to give your home an entire makeover, or keep your home’s current look with a new, fresh exterior. Whatever your preference, we would be happy to discuss a myriad of options with you. Ready to get a siding estimate? Call us today! We’re gutter experts! 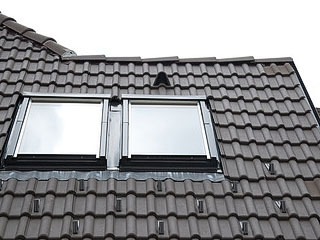 We’ve been installing gutters for over 15 years! In addition to installing siding, our crew can also fix or update your gutters, downspouts, trim, and any other exterior details to give your home a unified appearance and increase its curb appeal. 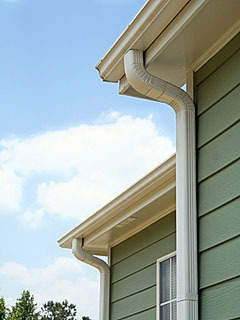 Plus, you don’t want to get stuck with overflowing, leaking, or sagging gutters. If left unattended, any one of these can result in some serious water damage to your home’s foundation. Trust us, paying attention to the fine points of your home’s exterior really pays off! 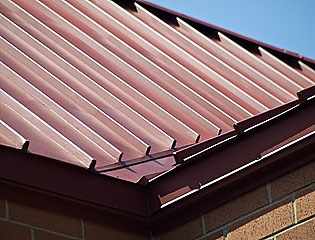 Ready to get a gutter estimate? Call us today! We’re skylight experts! We’ve been installing skylights for over 15 years! With RZ Construction on the job, you don’t have to worry about leaks or drafts. Well appointed windows nestled within the roof of your residence can bring in an incredible amount of natural light, bathing the interior of your home in sunshine. Lower energy costs as well as increased home value and attractiveness are just a few of the paybacks. Ready to discuss skylights with us? Call us today! We’re window experts! We’ve been installing windows for over 15 years! 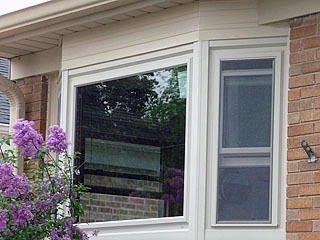 We can tell you about both wood & vinyl replacement windows. Also, did you know that according to Remodeling Magazine’s Cost vs Value Report 2011-2012 for the Chicago area, vinyl & wood replacement windows are 2 of the top 5 most valuable improvements (in terms of cost recouped) you can make to your home? That’s right, replacement windows can improve the value of your home, help keep your home warm in the winter, and cool in the summer, increase the energy efficiency of your home, increase convenience with features such as tilt-in for easy cleaning, improve the aesthetics of your home, AND, best of all, replacement windows can pay for themselves over time in energy cost savings. Ready to get a window estimate? Call us today! We’re door experts! We’ve been installing doors for over 15 years! 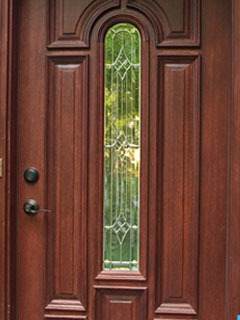 We can tell you about the best fiberglass and steel exterior doors on the market right now. Also, did you know that Remodeling Magazine estimates that in the Chicago area, entry door replacement is recouped by at least 50%? Ready to get a door estimate? Call us today! We’re sheet metal experts! We’ve been installing sheet metal for over 15 years! We can tell you about…. Ready to get a sheet metal estimate? Call us today!